calling out the deals. | Kota Kinabalu, People and Places, Street Photography. Calling out the deals, and he is ready to make some tuna cutlets. 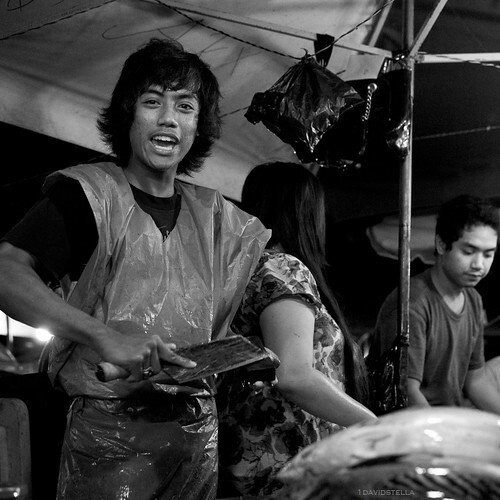 Photographed at the waterfront night market, Kota Kinabalu. ~Lightbox~ More photos in my Bazaar-KK City set. « a ‘rare’ portrait of me.